This year’s drought is testing how well California manages water during severe dry periods. As we head into spring and the major irrigation season, rainfall totals, snowpack, reservoir storage and groundwater levels are all low. Although most larger urban areas have relatively secure water supplies, some small, isolated communities can expect problems. And California will be dealing with significant, painful choices on agricultural land use and environmental flows. Problems dealing with this drought – the worst in more than 30 years – point to opportunities for improving how we manage this recurring feature of our climate. Overall, California needs to modernize drought policies and management in at least four areas: statewide measurement systems, ecosystems, groundwater and pricing. California’s urban water systems have become much better at planning for and handling droughts, thanks to local initiatives and prodding from the state to increase drought preparation. Unfortunately, the state’s own drought planning apparatus is showing weaknesses during this severe drought. The State Water Resources Control Board has authority to administer and enforce water right priorities, investigate waste and unreasonable use, and balance water deliveries during drought emergencies. 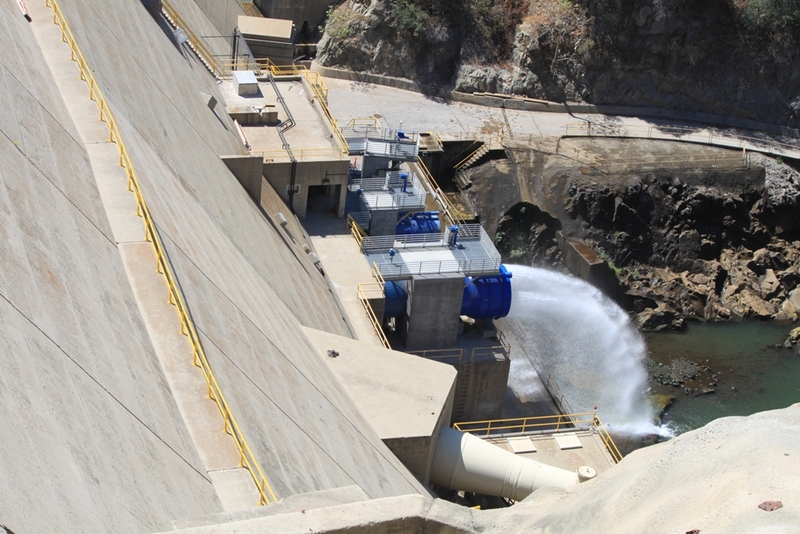 The California Department of Water Resources (DWR) develops information on current and expected flows. During wet, average and even relatively dry periods, this system provides some stability to water management and allows water users to plan activities. However, during severe droughts, deficiencies in the transfer of information and supporting technology severely compromise the water board’s ability to monitor, enforce and allocate scarce supplies. Legacy technology. Despite major advances in predictions of flow volume and timing, short-term drought flow forecasts and measurements are often lacking at locations and times needed for efficient drought-water allocations. And in a hold-over from procedures established more than 70 years ago, DWR publishes only monthly updates of hydrologic conditions and water supply projections from February through May. Some flow records — such as those collected by hydropower utilities — are even embargoed, precluding state officials from real-time access to useful data. During severe droughts, water operations and protection of water right priorities need more thorough and frequent updates from all sources. Who uses how much? The 2009 package of water legislation significantly advanced water rights enforcement and quantification with new reporting requirements for all surface-water users. However, California still has a long way to go to improve its recordkeeping and consolidate its water-use data sources. Water rights records and statements are likely to be of variable accuracy. And most critical to management during a drought, there is little or no information about which water users have access to groundwater – usually 30 percent to 40 percent of total supplies, and more during droughts. Modern measurements – using satellite imagery, remote sensing, sensor networks and sophisticated computer models – makes it possible to estimate water use by crops, native vegetation and urban landscapes without requiring additional reporting by water users. This cost-effective technology has been used in California in isolated cases, but the state lacks both infrastructure and the coordinated interagency efforts to get the best out of this information. Idaho has a long-term program to account for water use and actively employ this technology to manage water, including in court cases involving water rights enforcement and consumptive use. 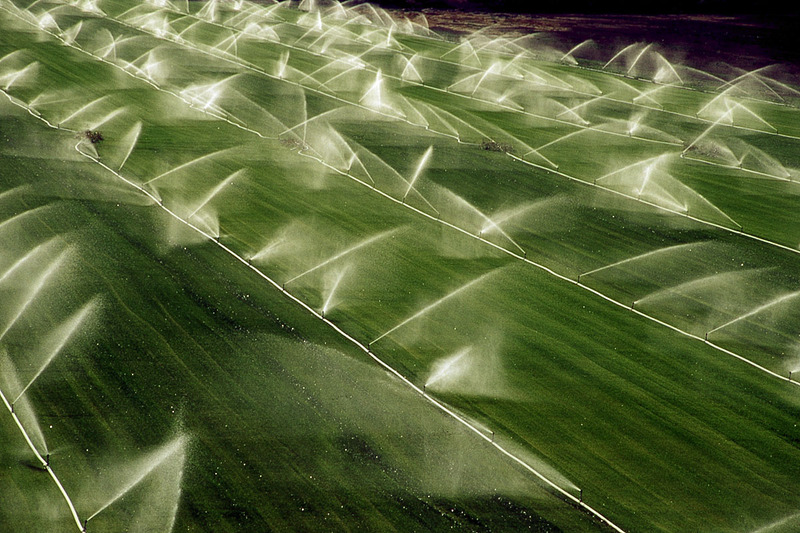 Nevada and other western states also use this technology for water rights. This technology is inexpensive (just cents per acre in Idaho: Allen et al. 2005) and accurate (as shown in a recent study on the Delta: Medellín-Azuara and Howitt 2013). Calling rights during drought emergencies. In many places worldwide with seniority-based water rights, senior water users must announce their water use during times of shortage so that water diversions can be scheduled to make the most use of available water. When senior water users have reserved rights that go unused in real time, this deprives other potential users of this water and reduces overall system reliability. During drought emergencies, California should have a system requiring large senior water users to “call” their rights and quantities on the Web, so water use can be better scheduled and coordinated in water-short basins. The lessons? California needs to modernize its water rights system – along with flow forecasting and reporting requirements for water use – to make the most water available to water users during a drought. And to avoid being caught unprepared for the next severe drought, the state should run detailed drought operation and curtailment exercises every two to five years. Such exercises would give water managers the opportunity to simulate real-time responses to drought emergencies and to identify information and coordination gaps that need to be filled before the next major drought. One essential information gap is understanding options for managing environmental flows during severe droughts. California’s native species have, through natural selection, adapted to the state’s variable climate. 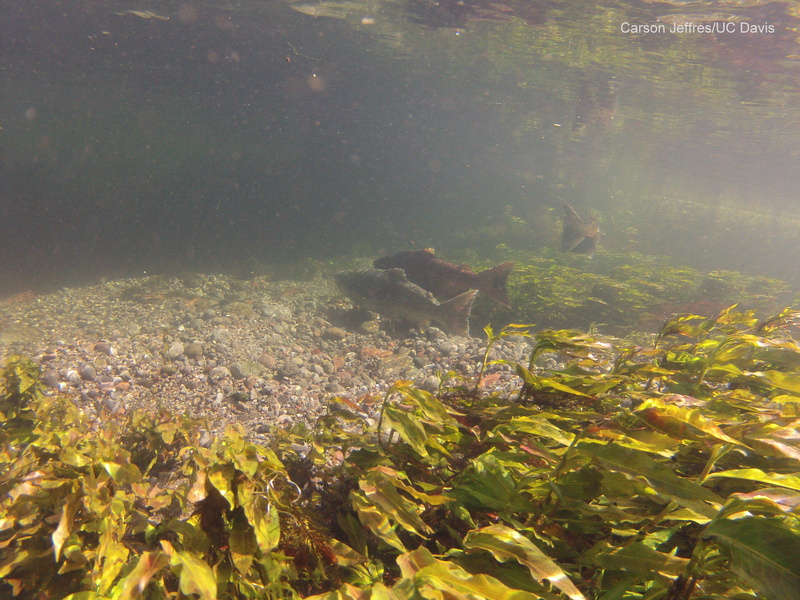 However, these species are now attempting to survive in novel ecosystems, with highly altered hydrology and habitat often dominated by non-native species (Moyle et al, 2011, 2013). Failing to manage ecosystems well during a drought can lead to additional endangered species listings, more opportunities for invasive species to become established and long-term disruptions to water operations. For example, high levels of export pumping from the Delta during the 1987-1992 drought were followed by an influx of invasive species such as the overbite clam, and expansion of other species, such as Brazilian waterweed, which now plague system management (Winder et al. 2011). A modern drought policy must include better preparations for environmental management. During a declared drought emergency, the state water board often softens environmental standards to benefit human water users, typically with the concurrence of federal and state fish agencies. Regulators also may be forced to make difficult and complex tradeoffs about flow allocations when multiple threatened or endangered species rely on the same limited water supply. These decisions inevitably involve considerable guesswork, because there has been little effort in advance of a drought emergency to evaluate the scientific basis for making these decisions. 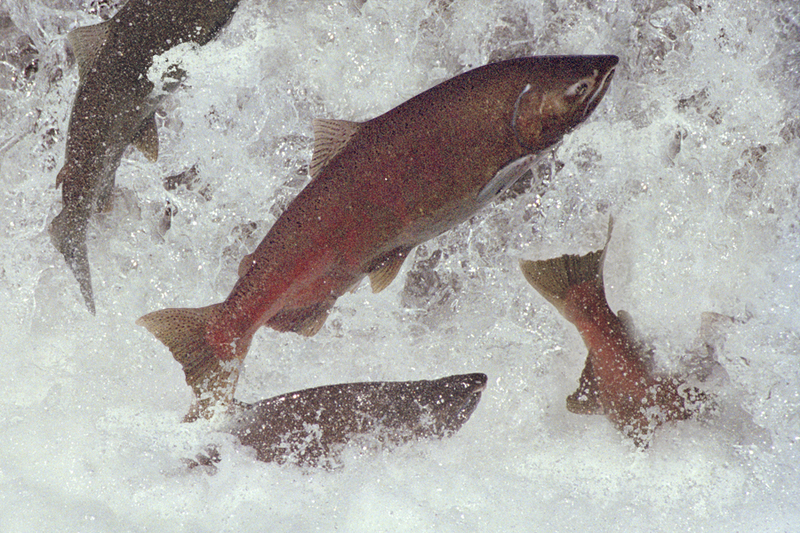 Legally, fish in regulated rivers should always have sufficient flows to maintain their populations, based on the Fish and Game Code and the Public Trust Doctrine (Bork et al., 2012). But these legal issues are often ignored, especially during drought. In addition to helping manage these tradeoffs, planning ahead can also prompt policies that make ecosystems more drought-resilient. One concept with strong support in the conservation literature is to establish strongholds or refugia: specialized rivers and streams managed to maintain resilient native fish populations as a hedge against disturbances such as drought. Also, if environmental flows take a major hit during drought – as they are this year – then a funding mechanism should be in place to assist recovery of depleted species and damaged ecosystems, perhaps funded in part with sales of water from environmental curtailments. Failure to adequately plan usually results in severe depletion of environmental water, which ultimately will result in creation of more endangered species, invasions of alien species and declines in fisheries. Recovering from these new problems will complicate water management long after the rains return. Substantial seasonal and drought water storage is essential for water management in California. Surface storage behind dams totals approximately 41 million acre-feet, or about two-thirds of the state’s annual net water use, including dedicated environmental flows (DWR, 2013). Groundwater storage capacity is at least several times larger, and groundwater is the major source of storage during droughts. Yet a major limitation on groundwater as our principal hedge against drought is that we tend to mine it in normal and even wet years in some agricultural areas, decreasing our drought resiliency. The cumulative historical overdraft statewide is several times the average annual natural flow from all California rivers, and the problem is especially evident in the Tulare Basin (Faunt et al. 2009). Groundwater overdraft entails many costs, including extensive dewatering of rivers and wetlands, damage to irrigation and flood infrastructure because of subsidence and making groundwater prohibitively expensive and less reliable during both wet and dry years (Faunt et al. 2009). 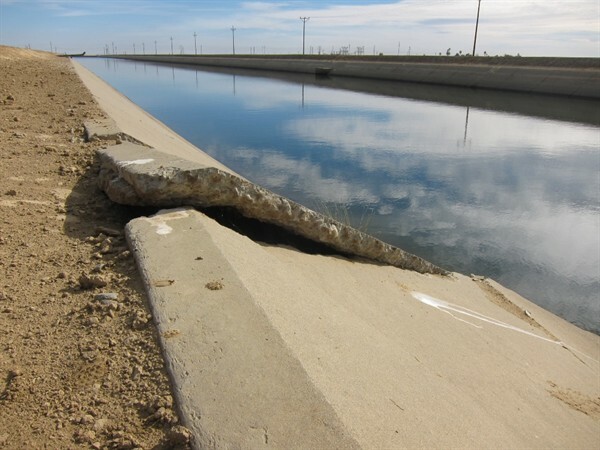 Groundwater basin management – through special management districts that oversee and charge for pumping or adjudicated basins that allocate pumping rights – is already common in the state’s urbanized areas, whose groundwater overdraft problems became acute in earlier decades. Such management enables coordinated use of surface and groundwater storage (often called conjunctive use), whereby groundwater basins serve primarily as drought storage. Active groundwater storage is one reason why southern California urban communities are little affected by the current dry period. In contrast, the Central Valley has few conjunctive use programs, despite abundant potential. Agriculture’s pain during this drought would be significantly lower if these groundwater basins were operated sustainably. If urban areas are better prepared for this drought, it is also thanks to the ability of most local water utilities to raise water rates to pay for new investments in conservation, surface and groundwater storage, and non-traditional supplies like recycled wastewater and stormwater capture. However, not all is well on this front. Drought pricing. The drought is likely to result in another round of financial problems and discord because of a lack of sound drought pricing and messaging. Most water system costs are fixed; those for distribution pipes, treatment plants and labor don’t vary with the volume of water delivered. Unless most of the monthly bill is a flat fee (which dims price incentives to consumers to use water efficiently), revenues often cannot cover fixed costs during droughts, when extraordinary conservation reduces water sales and revenues. Utilities then must raise rates after the drought. This practice sends a mixed message to customers, who conserved water as requested and are then rewarded with higher rates. Anticipating such problems with special drought pricing policies can rectify this situation. The utility establishes a drought rate schedule in advance, which allows it to announce and charge a higher per-gallon rate during droughts. Drought pricing keeps the utility solvent while providing a special conservation price incentive to customers. Only a few communities now do this (Roseville and Los Angeles are examples). Unfortunately, following the smaller drought of the late 2000s (when sales also fell because of the recession), many water utilities opted instead to put a higher share of their bills into fixed service charges, thereby dimming incentives to conserve (Hanak et al. 2014). Understanding customer behavior. Our understanding of decision-making by residential water users is far from complete, making it difficult to choose the most effective conservation policies. The introduction of real-time meters and collaborations between utilities and researchers can improve our knowledge about customer behavior. 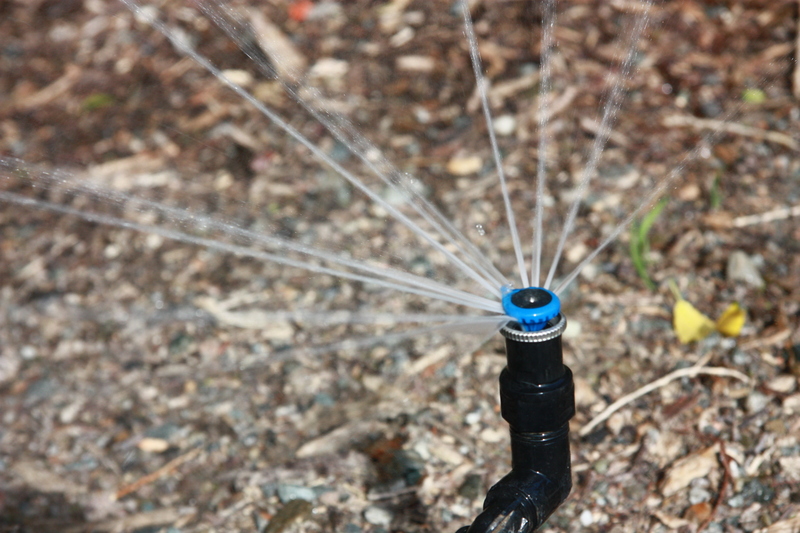 As an example, recent work suggests that the deployment of WaterSmart, a service that provides social comparisons and water savings tips, led to a 5 percent reduction in water usage in pilot areas within the East Bay Municipal Utilities District (Mitchell and Chesnutt, 2013). The pilot project points to the potential role of non-price policies to induce conservation. Additional utility-researcher collaborations, using detailed billing data on water usage, can help provide insights into the price responsiveness of residential customers and inform the design of rate structures. Funding new infrastructure. Although urban agencies have been able to make drought resiliency investments, rising regulatory costs and decreasing reliability of water supplies from imported sources (especially the Delta) will drive up the cost of maintaining drought resiliency. Constitutional restrictions imposed by Proposition 218 – a 1996 voter-approved initiative – may limit the ability of utilities to continue modernizing (Hanak et al. 2014). The measure requires that new fees be linked to specific services delivered to each property. Under narrow interpretations of this law, fees that do not directly reflect the costs of service to a property can be considered taxes, requiring approval by a two-thirds supermajority of voters. Utilities have faced Prop. 218-related legal challenges to conservation-oriented rate structures like tiered pricing (which encourage conservation by charging a higher price per gallon for larger volumes of water use) and to the system-wide sharing of costs of adding new supplies like recycled wastewater (which improves overall supply reliability even though it usually can’t be delivered to all properties). Modern, integrated water resource management recognizes the broad benefit associated with improving water systems, where it is difficult to precisely assign direct benefits to specific properties. To avoid this problem, California’s courts should interpret Prop. 218 with an understanding of the realities and requirements of integrated water management. Constitutional reform of Prop. 218 to introduce more flexibility also may be needed so utilities can manage future droughts and provide reliable service to a growing population and economy. Although droughts are economically, socially and environmentally disruptive, they also provide a stress test on California’s preparedness for an uncertain future. California has made significant progress in drought management in recent years, but mostly in the large metropolitan regions that have developed more diversified, integrated water sources, thanks to a ready source of local funding and forward-thinking leadership. Although this drought is significant, it is not unprecedented. This water year will be likely the worst third or fourth driest since we began keeping detailed records in 1895. In other words, it’s a “25- to 40-year” drought. We manage more systematically for rarer hazards, conducting annual dry runs for floods, earthquakes and fires that test our ability to respond. It’s time to start doing the same for drought. Let’s call them “wet runs,” because we would do this before we’re in a drought, when water is more plentiful. Many of the changes we suggest could be accomplished under existing law, with limited additional resources. The state already has authority to make improvements in measurement, forecasting and drought planning – including for use of environmental flows during droughts to protect fish. Legislation may be needed to further improve surface water-use reporting (such as requiring large water users to report annually). Legislation will be needed to facilitate some other changes, such as to enable groundwater management agencies to charge pumping fees to improve basin management (something now only readily possible for a few specially mandated agencies.) The Legislature also can support better drought pricing by local agencies, by requiring utilities to consider their fiscal response to droughts in their urban water management plans. California needs to modernize its preparations for drought. The time to start on modernization is not after the drought, when rains wash away the memory of it, but during the drought when political motivation and public attention are greatest. Jeff Mount, Ellen Hanak and Caitrin Chappelle are with the Public Policy Institute of California. Richard Frank, Richard Howitt, Katrina Jessoe, Jay Lund, Josué Medellín-Azuara and Peter Moyle are with the UC Davis Center for Watershed Sciences. Brian Gray is with the UC Hastings College of the Law. Bruce Cain, Leon Szeptycki and Buzz Thompson are with Stanford University. Faunt, C.C., ed., 2009, Groundwater Availability of the Central Valley Aquifer, California: U.S. Geological Survey Professional Paper 1766, 225 p.
Medellin-Azuara, J., Howitt, R.E. (2013). Comparing Consumptive Agricultural Water Use in the Sacramento-San Joaquin Delta: A proof of concept using remote sensing. A report for the Delta Protection Commission. 27 pp. This entry was posted in Uncategorized and tagged Brian Gray, Bruce Cain, Buzz Thompson, Caitrin Chappelle, drought, Ellen Hanak, Jay Lund, Jeffrey Mount, Josué Medellín-Azuara, Katrina Jessoe, Leon Szeptycki, Peter Moyle, Richard Frank, Richard Howitt, water management, water systems. Bookmark the permalink. California’s major problem with water is the fact that agriculture has progressively expanded its demands for water to a point that is unsustainable. Agriculture’s expectation appears to be that everyone else should chip in again and subsidize their excesses and use of water. Permanent crop acreage should be returned to the levels that can be documented from 1977/78 unless a property owner can prove that their current farming practices consume less water. Much of the westlands should be abandoned for anything other than dryland farming. The right to farm and exhaust water supplies does have practical and moral limits. There is no right to take another’s water! I don’t know who you’ve been talking with about drought preparation, but I don’t know a water manager alive who doesn’t try and plan for drought. In fact, where local control has been the order of the day, the water managers have been the proactive forces in storing water for dry and multi-dry years. The environmental community has not been helpful, blaming water managers for doing what needs to be done to protect long-term water supplies. And, the state has been abysmally unprepared for almost every disaster, has cut funding for water and wastewater infrastructure, despite selling water bonds in the billion-dollar range, and has initiated regulations and other “management” ideas without understanding at all the unintentional and intentional consequences of their actions. For example, the so-called 20 by 20% legislation ignored the fact that inland communities, with larger property footprints, were disproportionately penalized under the new law and further ignored the fact that portions of central California (I’m looking at you, Sacramento) had never even metered their water use, much less cut back, while, again, many parts of Southern California subsisted on the same amount of water available in the 1980s. That’s what happens when a bunch of people, who don’t know anything about water management, decide to dabble (only when it’s a crisis) in an issue, rather than doing the one and only thing it CAN do and that is help fund infrastructure for the future. The smelt and salmon are the canaries in the Delta telling us something’s wrong, so let’s not blame the messengers!! 1. When are we going to understand that RIGHT NOW, TODAY, HIGH NOON, society is at a point where it is more important to learn to live within our limitations than develop ways for exploiters to continue to transcend them and pimp for our addictions which only increase the height of the overhanging and inescapable destructive forces? 2. When are opinion leaders (such as writers of the WaterBlog) going to stop fancy-Dan tip-toeing around the issues?? When will they be honest enough to tell us straight-up that the rain clouds ain’t a-goin to come over the hills like the Cavalry, and no amount of reservoirs will make water? 3. And if you planted thousands of acres of almonds for a bonanza payoff, knowing you would be drawing the aquifer down below your neighbors’ wells, don’t expect me to weep and bail your boat! I find this topic fascinating but I know very little about it. Are there regulatory reasons that most utilities do not adopt drought pricing? Or do they fear accusations of “price gouging”? Or is it something else? Do you know of the ‘Conservation Paradox’? Briefly, a utility has financial obligations e.g., salaries, bond payments, investor income. If it sells less water, because there isn’t enough to sell, or by promoting conservation, it reduces its income and will not meet its obligations. This must be made up by higher rates, or cutting expenses, or going out of business. Conserving water users generally see no net reduction in their water costs because they end up paying higher rates for less water. Responding to your question about pricing: My hunch is that many utilities have enough of their income and expenses directed to questionable applications, such as management perks, that they would not welcome the full exposure inquiries inevitable with rate increases. But perhaps that’s only my seen-too-much-old-guy cynicism. Honest utilities, please forgive me. You all make some important and valid insights and suggestions for water policymakers but the devil is in the details, as usual, when it comes to the harsh realities of water management at the local level. Seeking a consistent strategy across the 100 million acres of California is an ambitious goal that still needs realistic — and reasonable- translation at the small scale. For instance, droughts can not provide “sufficient” flows for fish based on some predetermined legal or biological requirements — the water is just not there in that normally perennial stream and the native fish have had to evolve with that harsh reality too. Finding creative ways to help sustain native aquatic life – and not just this overemphasis of listed species – is often the opposite of being locked down into some regulatory one-size-fits-all formulaic “solution” dictated by Sacramento or the courts. This 2014 Drought Crisis should be seen as a giant wake-up call that additional long-term water management changes have to be made, similar to what the 1977 Drought Crisis was successful in initiating. However, the 5 DWR stream gages and 10 local gages in my sub-basin of the Klamath River Basin are doomed to be disconnected this year due to lack of funding. And the State’s overly bureaucratic, ephemeral & intermittent grant programs — especially from the poorly worded and politically constrained water bonds — certainly do not provide the means for sustainable, perennial water management that should be part of the State’s ongoing water management mission through its General Fund. Please – let us get real, at last. 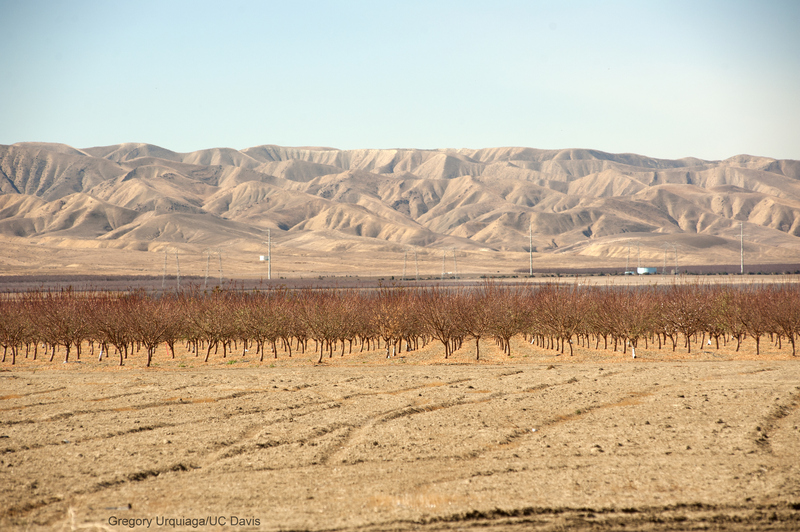 Pingback: Water Underground | Is groundwater depletion keeping California fruit and veggies cheap during the severe drought?